Early in their lives, Marsha Hunter and Brian Johnson were opera singers. 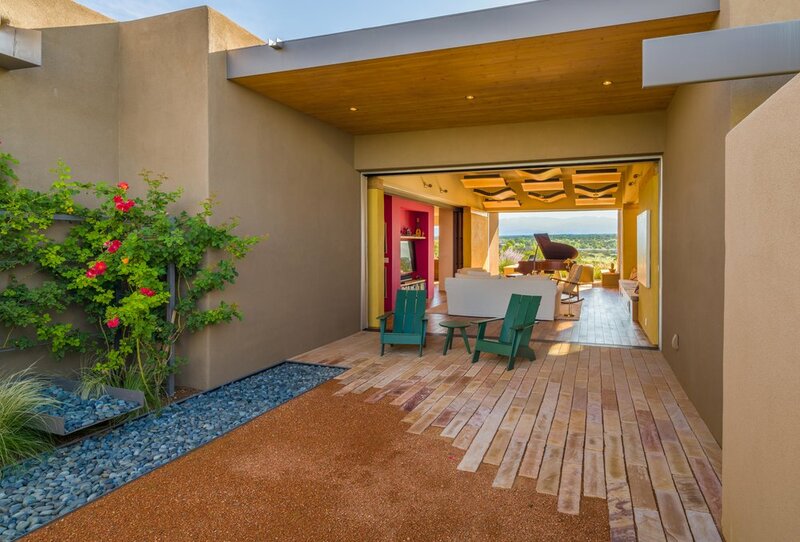 Therefore, when they chose to build their dream home in Santa Fe, they hired an acoustics consultant to ensure that their Living Room would ‘sing’ as a place for them and their musician friends to perform for each other. Designed by Stephen Beili and built by Tierra Concepts (with interior design by Annie O’Carroll and landscape architecture by Surroundings), the central living space has two walls of glass doors that pocket away, opening the space west to a ‘roofless room’. Within this simple space, an ephemeral pool was designed that only fills during rain events and slowly percolates into cisterns that water their landscapes. 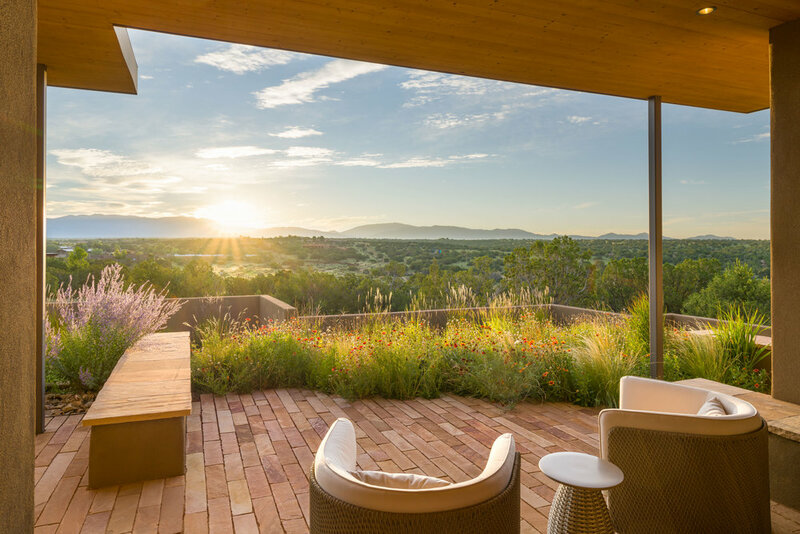 To the east and toward the Sangre de Christo Mountains, outdoor terraces blend into native wildflowers and grasses beyond. The home won numerous awards, it was recently profiled and on the cover of Su Casa Magazine, and achieved LEED Platinum certification with its many green features.